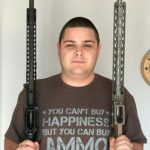 When it comes to the topics of cases for guns, everyone has an opinion, everyone has a budget. If someone were to go online and look around, there are dozens of companies. But there is one that stands out to me. Condition 1 cases. Not only do they have a case that is comparable to a highly known competitor, all of their cases come in at a significantly lower prices with a comparable quality. I got a Case 227. This is one of the largest cases I’ve ever owned. 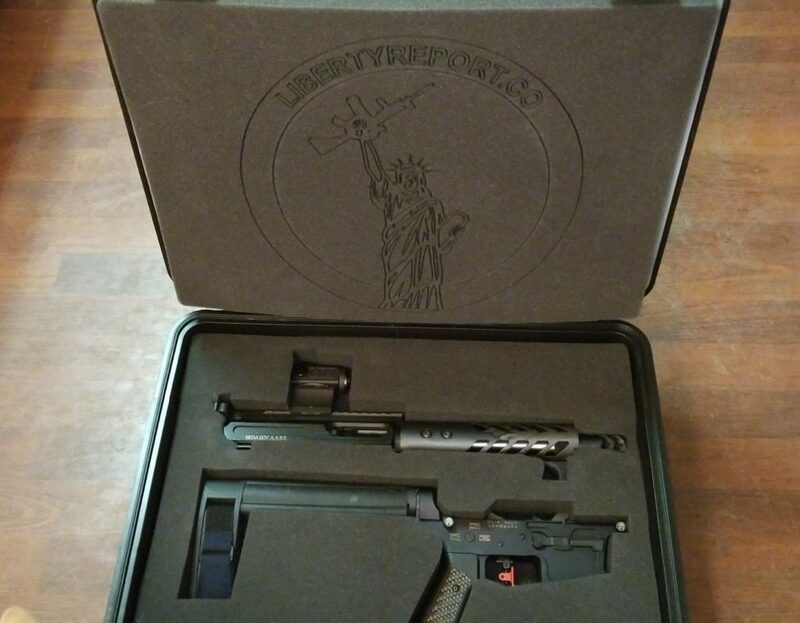 When I got it into my hands the first thing, I decided was that my AR-9 needed its very own case with cut foam. My first attempt at using the pluck and pull foam was ok, but nothing that I imagined. 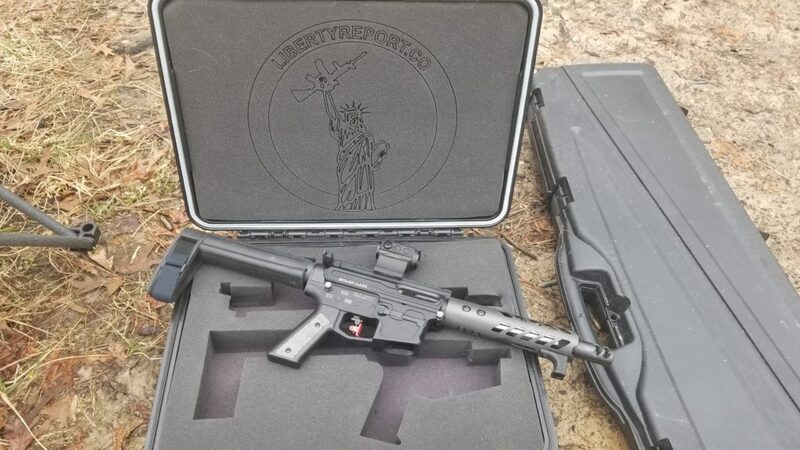 So next, I called up Carolina Custom Foam and worked with them on getting a layer of foam cut so that my AR-9 would fit snuggly inside the case. While waiting for my foam to ship, I did a water test. 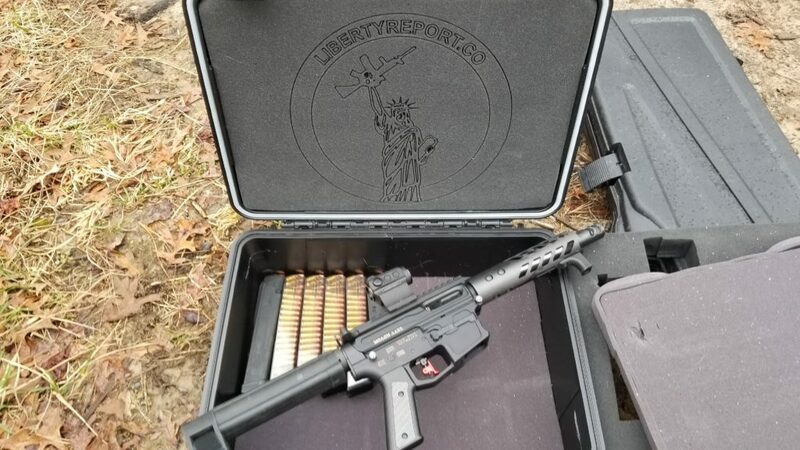 I took the case, stuck my AR-9 inside of it and then pressed it into the water for a quick dip. First, it would take something weighing a ton to force this box underwater for any substantial amount of time. I did the test in about one foot of water and for one minute before I pulled it out (my hand was freezing). Opening the case up I determined that there had not be any leaks and the foam and interior of the case was dry. The seals around the case were also dry, showing how well the box fits together. The day came for my Carolina Custom cut foam to come. I ripped open the package and put in the new foam, it fit perfectly, then I took off the lid foam because I had also ordered a lid filler that took place of the standard Condition 1 case lid filler. Getting the lid filler out was not simple, Condition 1 takes the time to make sure that lid filler isn’t going to come out of the box randomly. I was getting ready for my range day and I had decided I didn’t want to drag my range bag up to the range without any need too. So, I removed the foam and the AR-9 until I got the bottom layer where I was able to store twelve magazines. 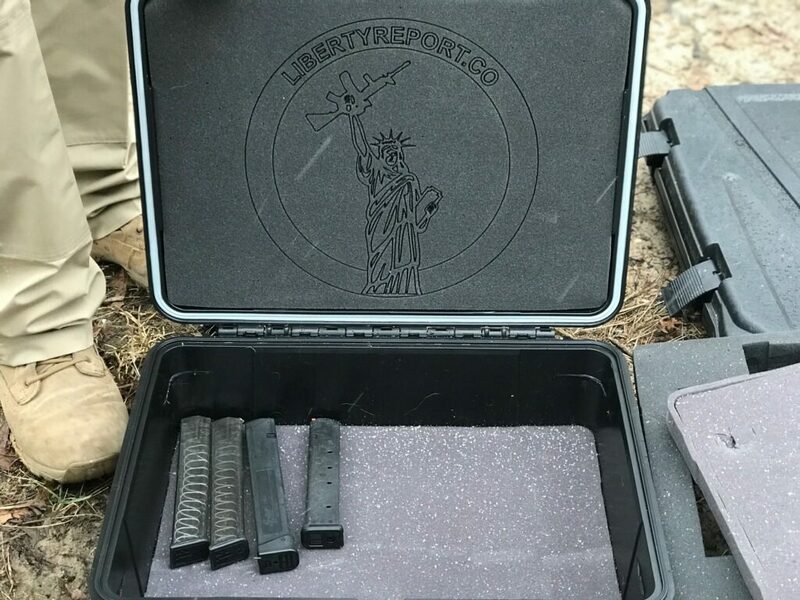 The first eight magazines in the case were for the AR-9, ranging is capacity from twenty-seven round mags to thirty-three round mags. 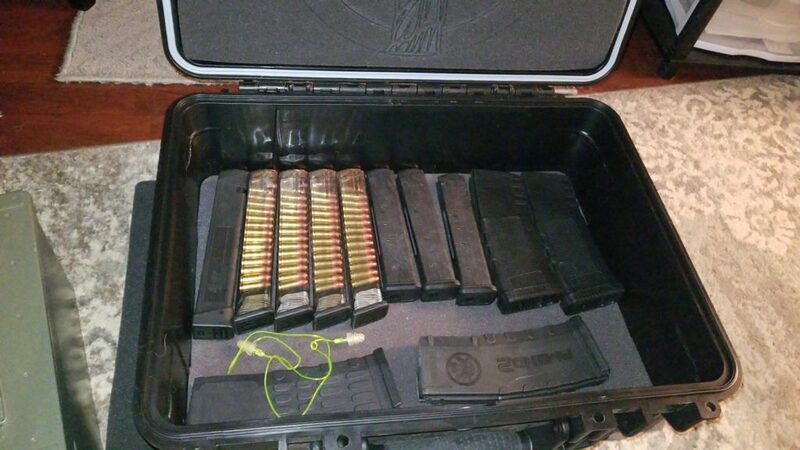 Then I added in four AR15 mags filled with 5.56. This case could have held quite a bit more, but that it was I had planned on shooting for the day (also I ran out of 9mm). The Condition 1 Case 227 Far exceeded my expectations and I am more than happy to have it with me as part of my range tools. 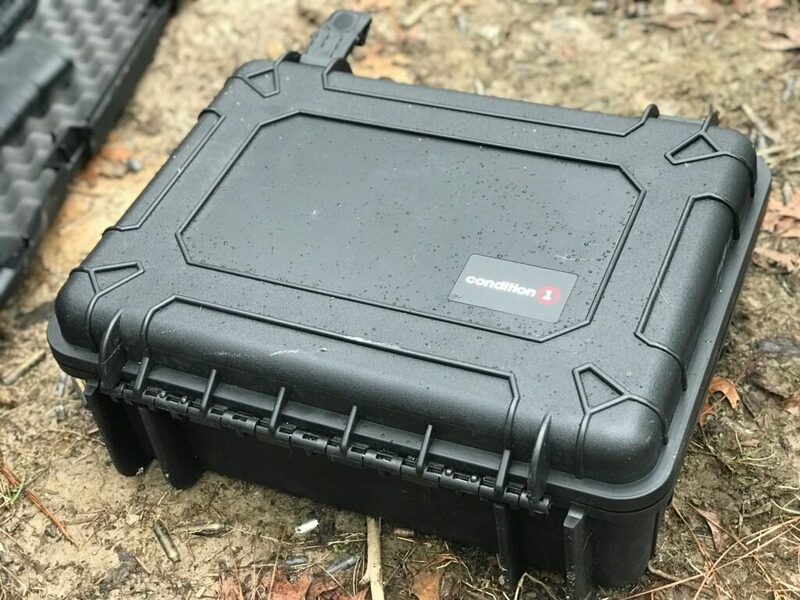 I have another one of their cases that I once buried in my backyard for twenty-four hours while it was pouring down rain. I will continue to get Condition 1 cases as they are high quality at and affordable value. Click here to view their full line of products. That Looks like a pretty solid case. I know another brand that begins with a “P” would likely cost twice as much. Thanks for the review.